You know how the surfers in the Endless Summer movies spent their days searching for the perfect wave? Well, I wish I had more time to travel the globe in search of the perfect beach. Ladies and gentlemen, I present to you Whitehaven Beach. Located in the Whitsunday Islands (which is FULL of incredible beaches), Whitehaven is quite aptly named because it has the softest, whitest sand that I’ve ever seen in the world. My friends and I were told that brushing our teeth with the sand acts as a whitener, but in retrospect that probably wasn’t the best idea for us to do. That aside, it is the most spectacular beach I’ve ever seen. 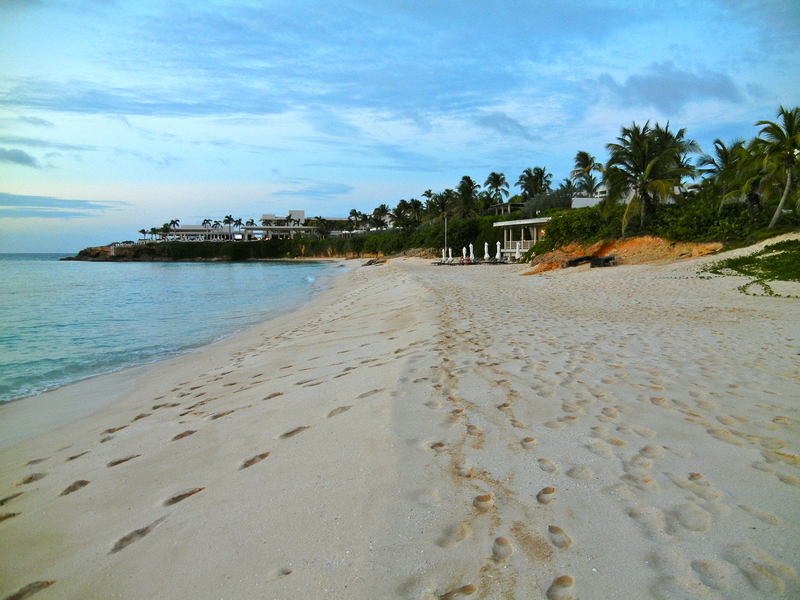 Popular with celebrities like Courteney Cox and Jennifer Aniston, the pristine beach at the Cap Juluca resort makes it a quintessential honeymoon destination. It’s also just a short boat ride away from nearby St. Maarten, so you can just check it out for a day if you don’t want to stay at the resort. Okay, okay, I know we all WANT to stay there, but it’s just really expensive, that’s all. I was blown away by Playa Cristal because of the clearness of the water and the beautiful backdrop of the lush jungle. 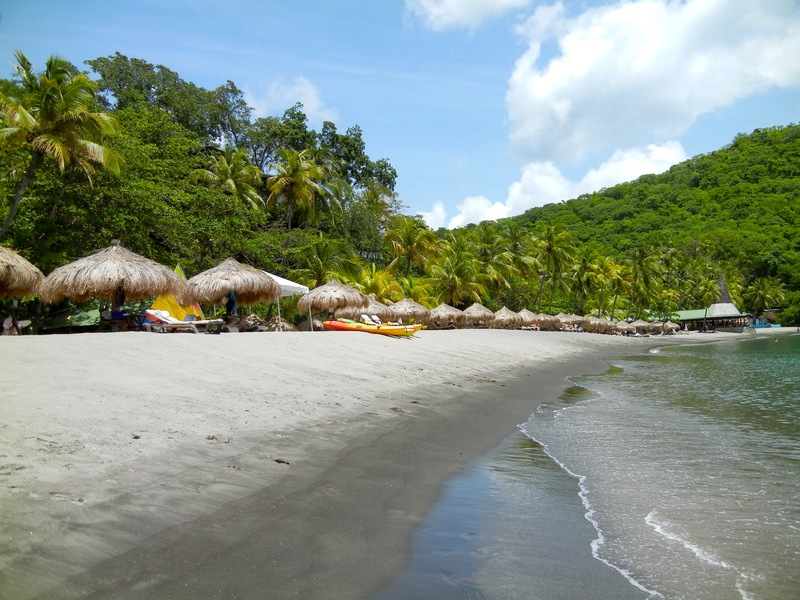 You can hire a boat in Taganga to take you to the beach. 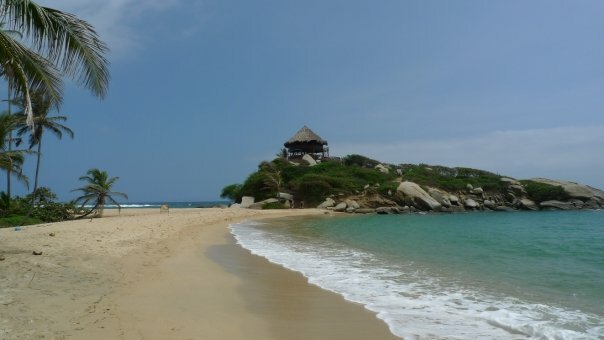 Unfortunately I couldn’t bring a camera with me to the beach because our next stop was Playa Brava where we actually swam to shore, slept on the beach overnight, then hiked out of Parque Tayrona the next day and hitched a ride back to Santa Marta, so bringing electronics along was a no-no. You’ll just have to trust me that the beach was so wonderful that it made my list of top 3 beaches in the world. Yes, yes, another Colombian beach. I don’t know if I’ve expressed how much my husband and I love Colombia yet on the blog, but we highly recommend going there if you love beaches, friendly people, and good food. 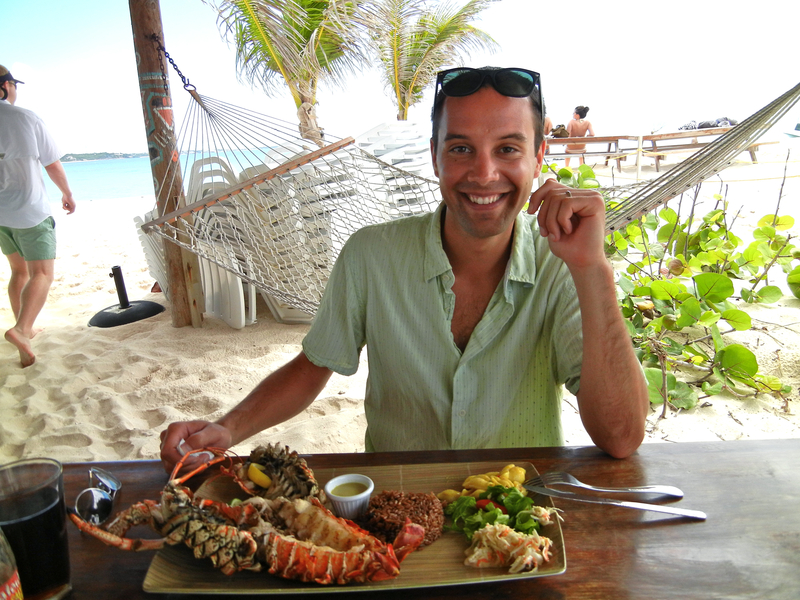 You can reach Playa Blanca from Cartagena in one of two ways: hire a private boat down by the fish market (just hold your nose while you’re there – it really stinks), or sign up for an “organized” day tour. It seems like the organized day tour is less than ideal though because it only brings you to the crowded part of the beach, so go with the private boat for a more relaxing experience. 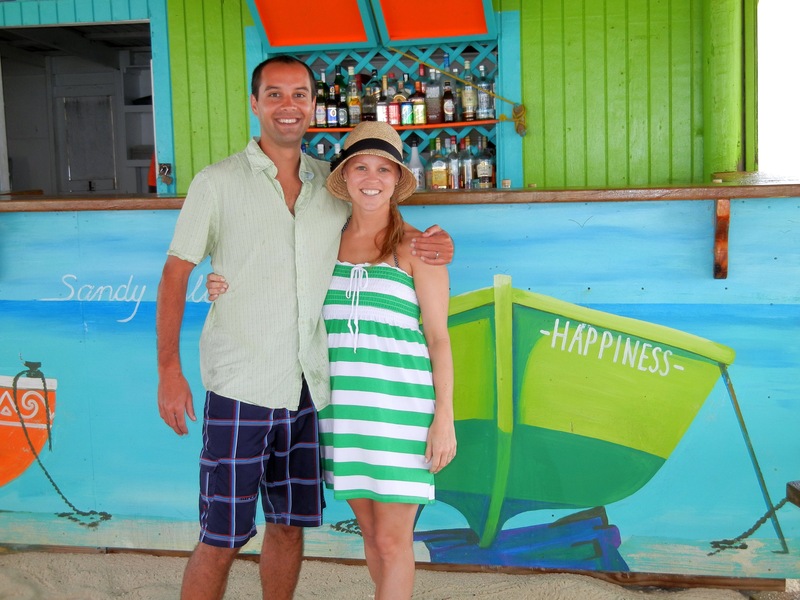 For honeymooners who want to rough it, you can spend the night in hammocks at Hugo’s. My husband and I thought it was the greatest place ever because 1) it was BEAUTIFUL, 2) it was the first time we slept in hammocks during that trip so the novelty made it fun and not back-breaking yet, and 3) we woke up in the morning to a litter of beagle puppies that were born overnight. Beagle. Puppies. In. Paradise. Probably one of the best days of my life. The colors of Lake Mckenzie look totally fake, but I assure you, this is really, really what the lake looks like. A friend of mine who was living in Honolulu at the time took my husband and me to Lanikai, a beautiful beach that isn’t terribly overcrowded with tourists. Do yourself a favor and pick up some Leonard’s malasadas to eat when you get to the beach. A perfect combination. I wanted luxury, relaxation, and somewhere exotic without too much travel. The hotel rooms (hehehehehe). We stayed in the most beautiful hotels in really cool suites. We definitely splurged on the hotels. I also loved the beaches. I am a big reader and Sean is not, so I got him books on tape to listen to on his iPod while we laid out on the beach. It ended up being too much travel to get there and between the islands. I would pay the extra money to fly direct. On our way there, our second of three flights was delayed so we missed our connection to St. Lucia. We ended up having to spend the first night of our honeymoon in a crappy hotel room in Antigua close to the airport so that we could catch a 4 am flight to St. Lucia. Also, we flew into the wrong airport in St. Lucia (on the other side of the island) so we had to take a 1.5 hour cab to our hotel. That being said, the first night of our honeymoon was very memorable. We were just so happy to be married and together that it ended up not mattering. Since I planned the wedding, Sean was responsible for the honeymoon. He definitely started planning at least 6 months in advance. We wanted to use miles/hotel points, so it took some extra planning to make that work.